The Rack Solutions Universal Server Rack Rails come in either 1U, 2U or 3U+ sizes, with weight capacities of 45, 75 and 200 pounds, respectively. The universal rails are designed to replace OEM rails included with Apple, HP, IBM and Dell server racks, providing a flexible solution for damaged server rack rails or OEM slide rails. The product is designed to support a variety of server racks, and is compatible with setups requiring standard square, rounded and threaded holes. To further its compatibility with various different devices and server racks, the rail rack supports mounting depths between zero and 31.75 inches. The server rack rail ships with a variety of complementary items and hardware to make assembly, installation and cable management easier. Hardware items include screws, cage-nuts and nuts for all rack types. A cable management bar is also included to assist with routing, and velcro strips come included to keep cords secure. Overall, the all-purpose, zinc plated, fixed Universal Server Rack Rails can meet the needs of a variety of server installation solutions, allowing data centers to replace their OEM rails with a high-quality, reliable system. The rail kit depth is fully adjustable from 10"-31.75" (254mm-806mm) all by loosening the screws and nuts. The rail kit is made from 18 GA steel and is zinc plated. The RackSolutions Universal rail kits are square hole to allow for the rails to be compatible with round, square or threaded hole racks. 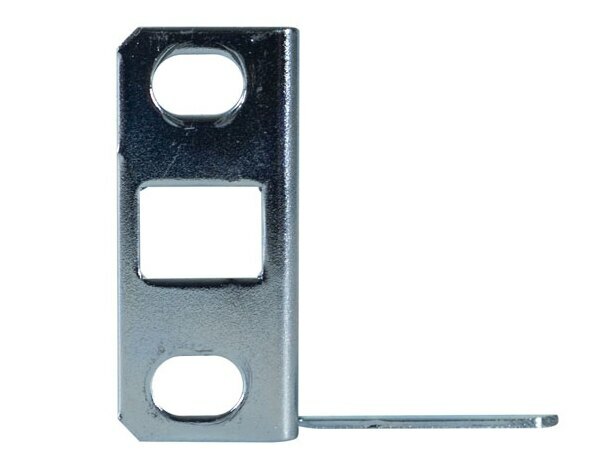 The rack rails support flange is 23.5" (597 mm) long. The rack rail will support servers computers or equipment up to 35" (889 mm) deep.